The Public Works Department is in receipt of the "Right-of-Way Maintenance" issue at "2002 NW 34th Ave, Gainesville, FL, 32605, USA". We have created service request #17545 to be investigated by our Operations Division. If you would like to speak directly with someone in this office, please call 352-334-5070. Thank you for using 311GNV to bring this issue to the city’s attention! I mis-typed the address. Obviously, if it's between NW 34th Ave and NW35th Ave, it would be something like 3402 (not 2002) NW 20th Street. There's no structure at that address; I made it up to get you to the right area. 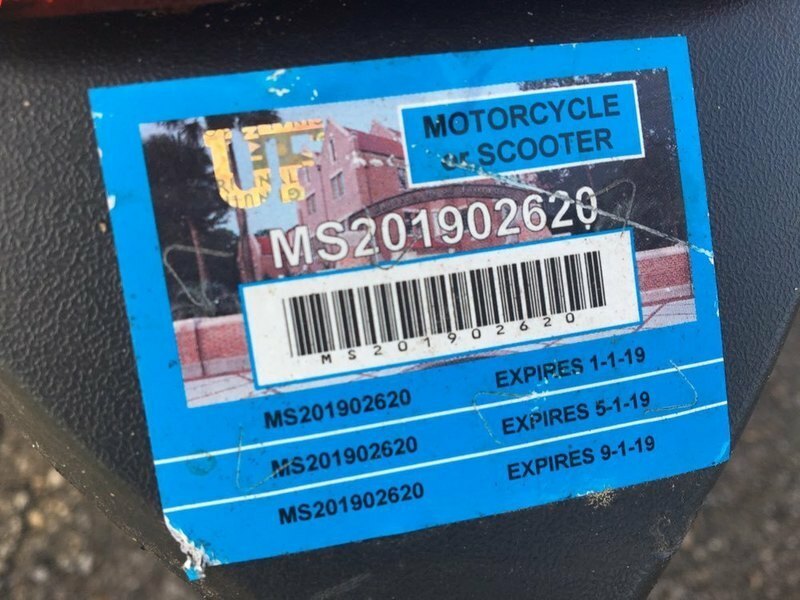 No tag, but it does have a UF decal.